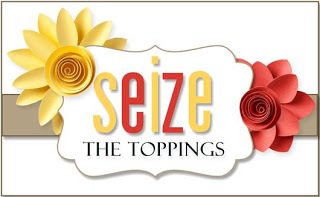 This time around the "Toppings" options is "Kraft Card Base". 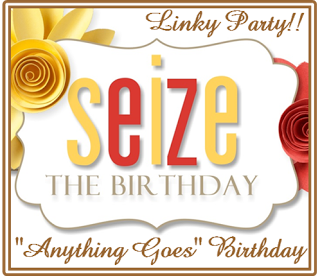 However, you can also chose to do an "Anything Goes" birthday card, the choice is yours! I chose to go with the toppings and used several layers of kraft, along with my brand new Quilt Builder dies. I love them! What a perfect way to use of those tiny scraps of patterned paper I've been hoarding. This patterned paper from SU is so old, it features colors like Cameo Coral and Kiwi Kiss. Remember those? I love the way this came out and can't wait to make more little quilts. Wow, Sandy, love your pink quilt on the kraft card. Such a lovely card. Love your color combo and your quilt dies! This came together perfectly! The bow in the middle was a nice touch! Hope all is well with you my friend! Beautiful colors, and the quilt is just so charming! I love how you've added so many layers and textured, and still managed kept the card clean and neat. Oh wow, those dies would have so many possibilities, how cool! It truly would be a great way to use up the patterned papers! 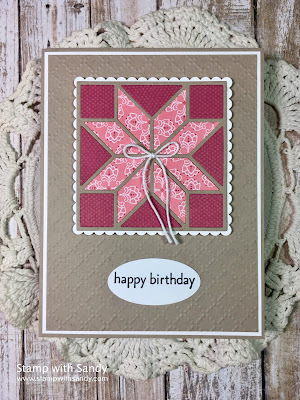 The quilt die create a pretty element! Love your color choice! This is so pretty! 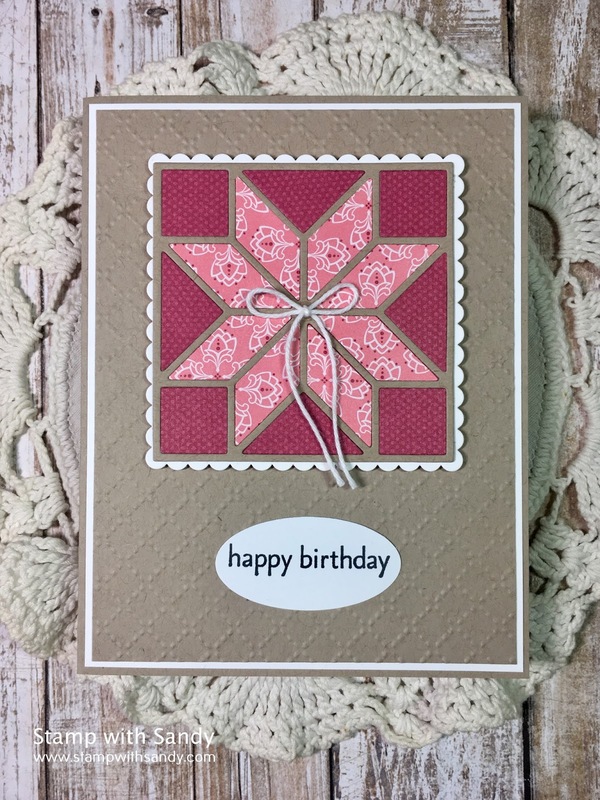 Great colour combination and fabulous use of the dies.